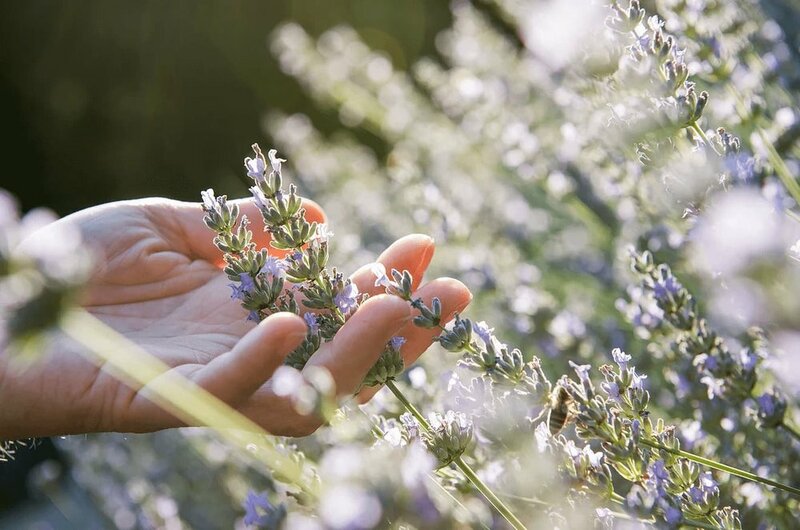 Frontier Wellbeing, a leading global wellness consultancy, is proud to launch Nature Connection Tours - a unique series of nature connection wellbeing walks and retreats. 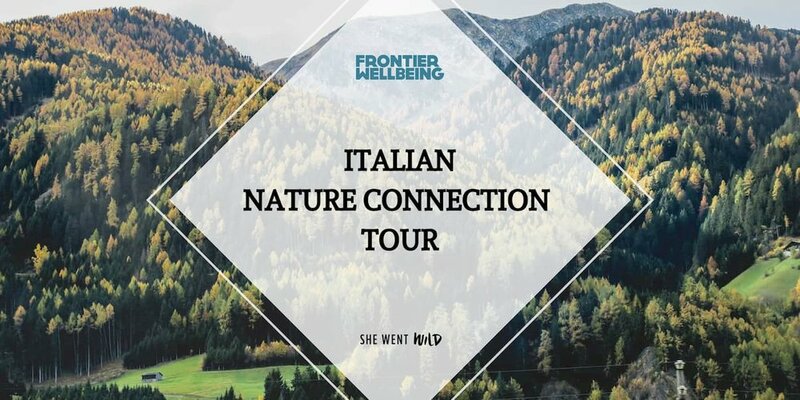 And we at She Went Wild are super proud to be a part of their Italian Natural Connection Tour, launching in August 2019! It all begins with your guides meeting you at Munich or Innsbruck Airport before whisking you away to a hotel in the picturesque Italian South Tyrol village of Lana! For the next 6 nights we will be staying together in private lodgings in the tiny village of Grissian, Italy. We have exclusive access to a traditional alpine hut where we offer lodgings as single or twin shares with shared bathrooms. From here we will explore the local forests on foot, drive by minivan to the Dolomites and alpine lakes and be treated to nutritious vegetarian meals and local delicacies. While each day is different you can expect a typical day to include sunrise stretching, or a sleep in, a nutritious breakfast overlooking the Bolzano valley, some time for guided meditation, a slow walk in the alpine forest and a Shinrin Yoku practice. We might hike to a nearby castle and indulge in cheese and wine before doing some paired coaching or journalling followed by dinner, watching the mountains turn pink during sunset. On the final evening we return to the hotel in Lana to celebrate the end of our alpine experience with a traditional meal in a local restaurant. You are free to extend your tour and stay on or be transported back to Innsbruck or Munich. This trip is suited to all women of all ages who enjoy spending time outdoors and see it as a way to connect to each other, to ourselves and to nature. This is a week of renewal and nourishment, both mentally and physically. As there is some uphill walking each day of the tour (this is the Alps after all and everything is either up or down hill) you will be most comfortable if you can walk uphill at a slow place for at least two hours. But this is not a hiking tour and all walks are at a pace that supports increased sensory awareness and the art of learning through observation and connection. We’re keeping things small and intimate with a minimum group size of 5 and maximum; 12. Complete your details below and we will send you a detailed itinerary and all the pricing information! No strings attached. As a gauge, for a twin share, the minimum is €1,950 and for a single, the minimum is €2,500.